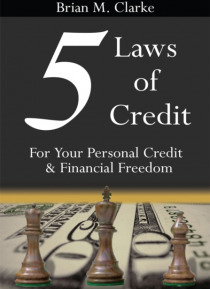 This book is a need to know roadmap for an individuals journey to comprehend the secrets to Personal Credit and financial freedom. It provides knowledge on the how and why of Credit: How & Why to Get It How & Why to Grow It How & Why to Repair It How & Why to Maintain It It provides a simple approach to the fundamental principles of attaining Personal Credit and financ… ial freedom that are not taught in schools. Thus, this book is essential for our younger generation to ensure that healthy financial decisions are made early in life. Moreover, for our not so young generation, this book is important for those of us who may not have known that these principles work in the manner described by the author. Decide well. Live well. Experience the difference. John Maxwell, author of Thinking for a Change, says One of the reasons people dont achieve their dreams is that they desire to change their results without changing their thinking. He also quotes billionaire entrepreneur Richard M. Devos who states, The only thing that stands between a man and what he wants from life is often merely the will to try it and the faith to believe that it is possible. In the lands of my birth and rebirth, I learned to payback what I borrow and not to think narrow. For every problem there is a solution and for every solution there is a problem! The problems of debt and lacking access to Capital are common amongst millions of people worldwide. This book guides the thinking and behavior of individuals in attaining the ultimate goal of Personal Credit and financial freedom. It is also a practical tool for creating ones own solution to eliminating the problems of debt and obtaining access to Capital. Get your copy today!